A few weeks ago, NBC News posted a story and video with the headline "Behind the misleading claims fueling America's bourbon boom." They did a good job with it. It was well told and accurate, despite the overheated headline. Stories about whiskey sourcing appear from time to time and that's good too. It is an aspect of the industry most people don't understand, and there are shady operators out there who exploit that ignorance. But there are a few parts of this story most journalists miss. (1) Sourced whiskey is nothing new. (2) Whiskey sourcing is not inherently sinister. (3) It's not all coming from MGP. First, some history. It took a long time for distilled spirits to become an industry in the United States. Distilleries, like most things, were local. You bought your whiskey or other spirit directly from the person who made it, or from a local retailer who did. It was only around the middle of the 19th century that it became an industry. The Coffey still made it possible to produce a large volume of product, and the railroads made it possible to get that product to distant markets quickly and economically. For the most part, distilleries simply distilled and aged the product. Most were located in the country, close to their raw materials: water and grain. They sold most of their output to distributors who bottled it and created brands, and marketed them far and wide. Back then, virtually all whiskey was sourced whiskey. After 1905, technology made bottling more practical, beginning a trend toward vertical integration. That trend continued when the industry came back after Prohibition, but sourced whiskey never went away. Some distilleries continued to sell most of their output to distributors and most distilleries sold at least some of it that way. There are two ways to buy sourced whiskey. The first is bulk whiskey, where you buy whiskey the distillery has made and aged at its own expense that is ready to drink. The other is contract, in which you buy new distillate and either pay the distillery to age it for you, or take it and age it yourself. As the industry contracted when bourbon sales collapsed in the 1970s, there was a lot of excess distilling capacity. Because sourced whiskey (bulk or contract) tends to be a low margin business, most distilleries that specialized in it were early casualties. The distilleries that survived primarily made and sold their own brands, but since most of them had excess capacity they were happy to do contract distilling for anyone who asked, and they were happy to sell bulk whiskey when they had excess inventory, which most did through the 70s, 80s, and into the 90s. What we now know as MGP in Lawrenceburg, Indiana was originally owned by Seagrams. It is a big distillery that makes both neutral spirits (i.e., vodka) and whiskey. It primarily made Seagrams Gin (which uses neutral spirit) and Seagrams blended whiskeys such as Seagrams Seven Crown (which combines straight whiskey with neutral spirit). In 1999, the entire Seagrams company was sold for parts. Diageo got the blended whiskey brands. Pernod got the Lawrenceburg distillery and Seagrams Gin. Diageo contracted with Pernod to keep making the blends, but there was nothing to prevent them from making them somewhere else in the future. Likewise, Pernod could make its gin somewhere else. The Lawrenceburg distillery, then about 70 years old and showing its age, began to look like a surplus asset. Pernod announced its desire to sell the plant and said they would close it if they couldn't find a buyer. Because sales of the Seagrams blends were declining, Pernod found itself with more whiskey in its aging warehouses than it needed, so in about 2005 it quietly began to sell some of it in bulk. The makers of Templeton Rye were among the first buyers and as has been well documented, they went to great (and illegal) lengths to hide the source. Eventually, Pernod sold Lawrenceburg to Angostura, the distilled spirits division of a large insurance and financial services company in Trinidad and Tobago. Along with a lot of other things, that company crashed in the 2008 worldwide financial crisis. Without financing from their failing parent, the Lawrenceburg distillery was forced to go it alone, selling whatever they could to whoever would buy it just to keep the lights on. MGP bought the distillery in 2011 and their timing was great. All of a sudden, the market for both bulk whiskey and contract distilling was booming. Margins improved. MGP was sitting pretty. But through all this, MGP was never the only or even the primary seller of sourced whiskey. A few of the major distilleries had always sold it as a regular part of their business. They included Heaven Hill, Barton (then owned by Constellation), and Sazerac's Buffalo Trace. Brown-Forman didn't sell bulk but they did a lot of contract distilling at their Shively plant. Virtually every other major distillery sold bulk from time to time, whenever their forecasts predicted a surplus in a particular age range. But as the bourbon boom got even boomier, those producers increasingly needed both their stocks and their capacity to support their own brands. Contract producers stopped accepting new contracts or permitting current customers to contract for greater volumes. Brown-Forman stopped doing contract distilling altogether. MGP became the only game in town. Today, supplies of bulk whiskey are still very tight, but a lot of new contract distilling capacity has been created. In addition to contract distilling, MGP is investing in building up its bulk whiskey stocks and many of the new producers, such as Bardstown Bourbon Company, are doing the same. In addition, long time non-distiller producers such as Luxco and Michter's have built their own distilleries, becoming distillers. 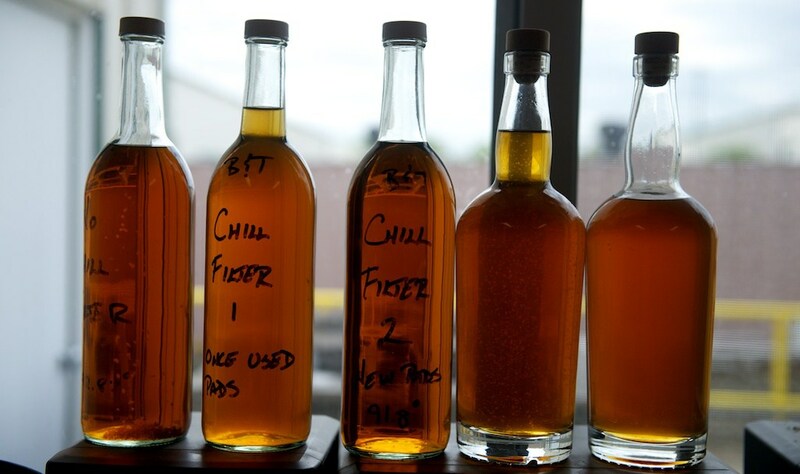 As their house-made whiskey reaches maturity, they will exit the sourced whiskey market as buyers and perhaps re-enter it as sellers, so the whole dynamic is changing. Meanwhile, the majors continue to unload their surpluses into the market from time to time. Maker's Mark and Jack Daniel's are just about the only distilleries that never need to do this. Although they are losing their hegemony, all this is not bad news for MGP. It means the business is becoming more competitive but MGP's CEO, Gus Griffin, is a smart guy who knows the business well. He already has begun to develop house brands to diversify away from the low margin sourced whiskey business. Meanwhile, stories like the NBC News one are making consumers smarter and more skeptical about sourced whiskey, especially mediocre products with fancy bottles, big price tags, and dubious origin stories. With those, I know that I know who made it, how old it is, and that it hasn't been monkeyed with. "...making consumers smarter and more skeptical about sourced whiskey, especially mediocre products with fancy bottles, big price tags, and dubious origin stories." I see a lot of "who the hell is that?" bottles on the shelf, and I find that I'm good with the sub $30 bottles that I trust, and about half of those are NDP, and, amazingly, I like them. Nice article Chuck. I missed the original news story and as a fairly new bourbon consumer, it educates well. I have no issues with NDP, but will not spend lofty prices that some brands dictate. I don't care what name is on the bottle. As an actual small DSP what I find annoying is the plethora of fake brands charging more and more money for the same old MGP'ish bulk product. This can only happen because of the lack of transparency in the marketplace. Eventually the real craft distillers will all be under suspicion, and it will drive more and more customers back to the big brands. No matter what MGP/DISCUS says, if every one of the hundreds of knockoff brands were required to carry a DSP lot number that designated who distilled it, the fake craft and big gulp multi-label market fiasco would evaporate overnight. We need a system that has a lot number with bar code info on every bottle that advises consumers who originally distilled it, who aged it, for how long, and who bottled it. A 12 year old could design a phone app to read that in study hall. The whole current system is set up to deceive. Feel similar to anon above, I wish the state of distillation requirements were enforced but have given up hope. There is a "local" "distillery" who launched a line of whiskies named after streets in Portland, even though not a drop of it is distilled, aged, or even bottled in Portland anymore. I wish more of NDPs would follow the example of Barrell Bourbon or Scottish independent bottlers. I don't need to know where everything is from, but I can't stand being lied to or misled. "Vertical integration" is a standard business term for when many, if not all, of the steps of getting a product to the consumer are controlled by the same company. In this case it refers to the companies controlling the distillation, aging, blending (where applicable) and bottling operations themselves. NDPs, on the other hand, are only blenders and bottlers, either buying already-made whiskey from distillers, or contracting with the distiller to make it for them. You said it. Every time I think about trying some new brand, I’m drawn back to my cheap and cheerful bonded Evan Williams white and Old Overholt. On this topic, does anyone know who is supplying the hooch for Bob Dylan's new venture?